that bear our grudges against the world. from the age of silent film. that’s what they call real entertainment. ends up pursuing the pursuer. turns out to be a tiger’s eye. turned over a hundred abysses. from laughter, if nothing else. 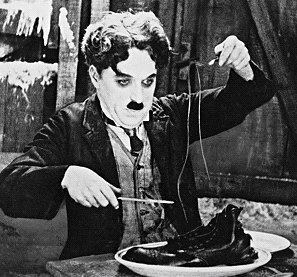 As the shoelace-devouring Chaplin put it (at least I think it was him), ‘life is a tragedy when seen in close-up, but a comedy in long-shot’. It all depends where you are standing, and who is observing.